Fill out our simple form and get quotes from local karaoke hire companies. Karaoke is a great addition to any event. Add to Event helps you find a wide selection of Karaoke suppliers in your area. Get a quote for karaoke hire and find out how much it costs to hire Karaoke all sorts of occasions, including balls, school proms, weddings, birthday parties, and much more. Boasting one of the North West's Largest databased Karaoke Libraries spanning the decades and genres we update monthly to ensure the latest chart offering are available ... " Something For Everyone"
We offer Disco & Karaoke for Disco's. We usually request a playlist that we stick to so you get the music you and your guests like to listen to most. Get in touch to hear more. 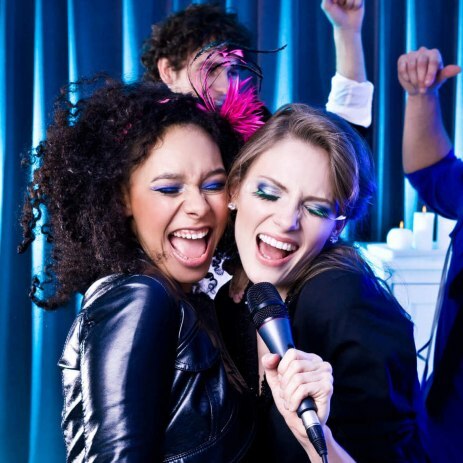 We offer a fantastic karaoke service with a massive catalogue of tracks for everyone's enjoyment. We cover the whole of the south west and beyond.